WASHINGTON — For the first 55 minutes of a Supreme Court argument on Wednesday about race discrimination in jury selection, the justices seemed united in their view that a white Mississippi prosecutor had violated the Constitution in his determined efforts to exclude black jurors from the six trials of Curtis Flowers, who was convicted of murdering four people in a furniture store. As Mr. Flowers’s lawyer concluded her argument, Justice Clarence Thomas asked his first questions from the bench since 2016. He wanted to know whether the defense lawyer in the sixth trial had struck any jurors. The lawyer said yes, and Justice Thomas asked what race those jurors were. White, she said. 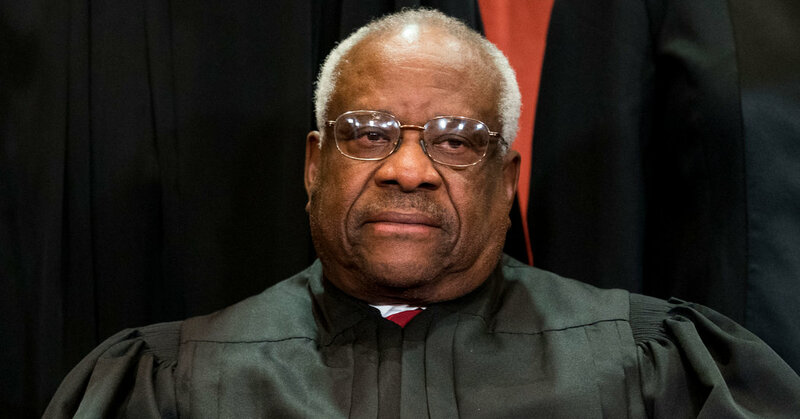 Justice Thomas holds the modern record for silence on the bench. Before his questions in 2016, he had gone a decade without asking one. His explanations have varied, but he has said lately that the other justices asked so many questions that they were rude to the lawyers before them. In both 2016 and on Wednesday, Justice Thomas asked questions only after the last lawyer ceded back some argument time. Justice Thomas’s voice has not been wholly missing in the Supreme Court’s majestic courtroom. About eight times a year, he announces his majority opinions from the bench in a rumbling baritone. In 2013, he spoke at an argument, but it was to make a joke rather than to ask a question. He has also said he was self-conscious about the way he spoke, partly because he had been teased about the accent he grew up with in Georgia. But in recent years, he has mostly said that he did not ask questions out of simple courtesy.